I am a PhD student in parallel program analysis and language theory under Prof. Vivek Sarkar in the Habanero Laboratory at the Georgia Institute of Technology. My research targets static and dynamic analyses of parallel programs to improve the dependability and trustworthiness of real-world applications. Concurrent software is essential to make use of modern hardware technology, but reasoning about synchronization, races, permission, and weak memory models is still difficult and unintuitive. I believe the precise and careful understanding that is required to write correct parallel code can only be achieved with the assistance of formal tools and automated analyses. “Transitive Joins: A Sound and Efficient Online Deadlock-Avoidance Policy” (Voss, Cogumbreiro, Sarkar) has been accepted for publication at PPoPP ’19! I have joined the parallel computing laboratory of Prof. Vivek Sarkar! My initial research direction will be on the problem of deadlock avoidance. I am spending the summer at the University of Kentucky with Prof. Jim Griffioen. We are tackling a cross-domain project that combines high-level programming languages with software-defined networking. Congratulations to my mentor, Prof. Lydia Kavraki, for winning the Rice University Presidential Mentoring Award! 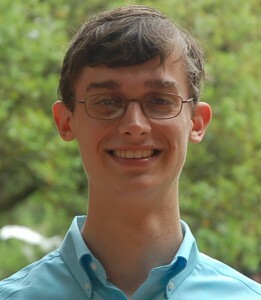 My undergraduate research at Rice University has been recognized with the James S. Waters Creativity Award and by the Rice Engineering Alumni with the Outstanding Research Excellence Award. I am delighted to announce that I have been offered an NSF Graduate Research Fellowship! See the Rice CS blog post.